Our light tower rentals provide all types of worksites with 20 Kilowatts of luminance and power. All of our light towers come with an easy-to use, button-operated hydraulic lift system which allow for the mast to reach the height of your choice. 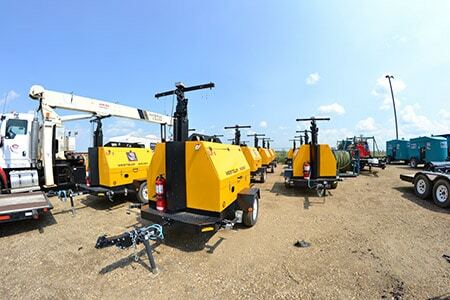 These light tower rentals also have built-in outlets for a more efficient use on your worksite.